Working remotely can be brilliant, but it has its own challenges as well as benefits. While not having to commute and having the flexibility to build your day the way that works best for you are great, being separated from colleagues can make exchanging ideas, swapping notes, and working on documents tricky. With the help of a few tools designed just for those problems, however, you can collaborate with colleagues just as easily as if you were sitting next to them in the office. Here are the tools every remote worker needs. Lots of remote workers swap between office and home, and use different Macs in each place. If that’s how you work, you’ll know that you frequently need access to your work Mac or PC from a remote location. VNC clients allow you to do just that. Install one on the Mac you use remotely and its helper app on your office machine, and you’ll be able to connect to that Mac as if you were sitting in front of it. One of the best VNC tools we know is Screens. 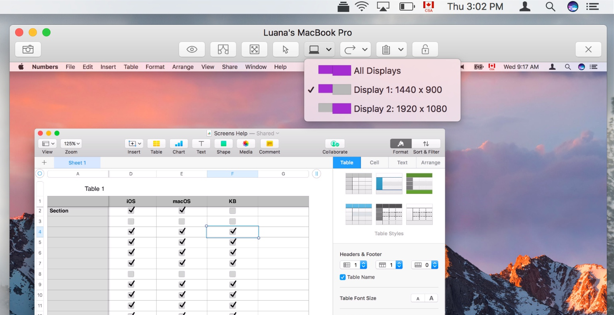 It’s easy to set up, thanks to its Screens Connect service, and supports multiple displays. Need to transfer files from one machine to the other? Just drag and drop. You can even obscure the screen on the Mac you connect to, so no one in the remote location can see what you’re working on. Screens isn’t the only VNC client on the Mac. Jump Desktop, for example, also allows you to connect to any Mac or PC remotely and control it as if it were in front of you. If you need access to your office’s internal network from a remote location, you’ll need a VPN client. Once configured, it’ll let you access servers and systems as though you were sitting in the building, rather than miles away. Shimo is an easy to set up and easy to use VPN client. It supports the SSL and IPSEC protocols and uses AES 256-bit encryption with two-step authentication. Shimo supports multiple connections simultaneously and allows you to set conditions to trigger connections automatically. What else could you ask for? If you’re a freelance worker with multiple clients, it’s almost certain that at some stage you’ll have to upload or download files to and from an FTP server. For that, you’ll need an FTP client app, such as Forklift or Yummy FTP Pro. Forklift can connect to FTP and SFTP servers, as well as Amazon S3, AFP, SMB, NFS, and WebDAV volumes. That means, for example, that you can use it to synchronize files between local Macs as well as remote servers. You can bookmark connections too, so next time you log in, you can do it with just a click, and the search tools make finding files very easy. Once you’ve found the files you need, you can preview them, compare them with different versions of the same file in a different location, synchronize, or move them. Yummy FTP Pro is similar to Forklift but also allows you schedule one-off or repeated file transfers, receive alerts by email, or limit the bandwidth the app uses when transferring files. 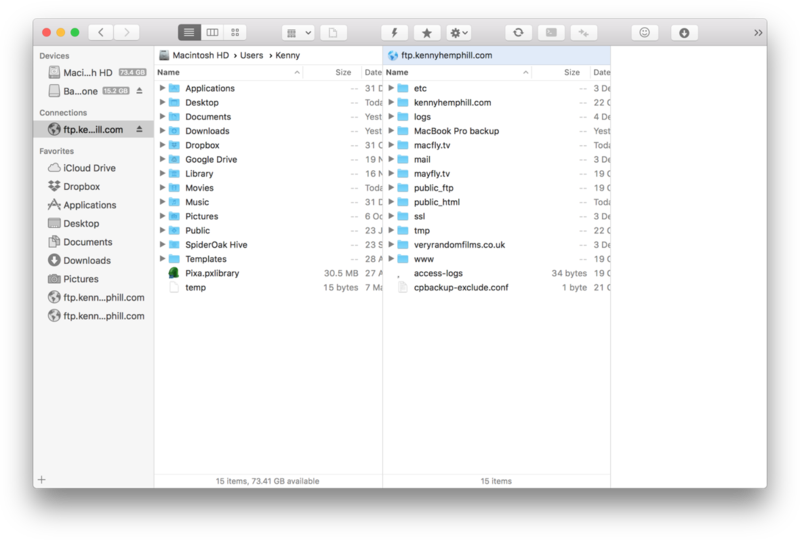 If you need a tool to watch folders for changes, Yummy FTP Watcher is the answer. It keeps an eye on folders you select and, when it spots a change, it performs the action you specify, whether that’s mirroring the change on a remote server or auto-uploading files to a destination you set. Communicating with colleagues regularly is essential for any remote worker. And while talking on the phone or face to face using Skype or FaceTime is great, there are occasions when you need to get a quick message to someone in a different country or continent. As a tool that’s used widely around the world, nothing competes with WhatsApp. It’s become the de facto standard messaging tool in many countries. And while messaging on WhatsApp is fine on a smartphone, it’s so much better using your Mac’s keyboard and screen. ChatMate for WhatsApp allows you to hold WhatsApp conversations will all your contacts on your Mac. No more staring at the phone screen and trying to tap out a message on its tiny keyboard. For team chats that require multiple channels of communication, IM+ would be the perfect choice. 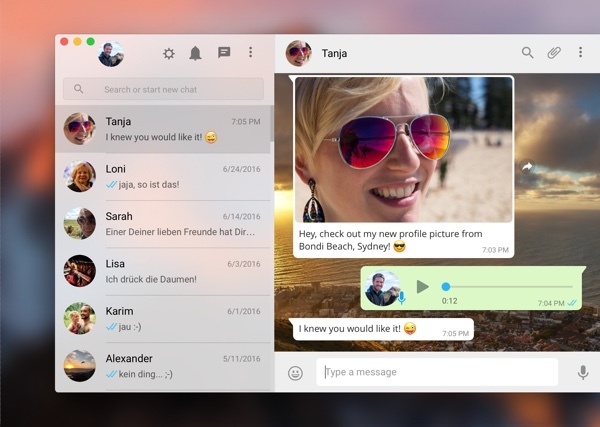 It supports all the known messaging apps, such as Slack, Skype, Facebook Messenger, Telegram, WeChat, LinkedIn, etc. Just add all your accounts and IM+ would instantly become the most-used remote chat app in your toolkit. If you rely on email to get things done, then you need a robust email client that works just the way you do. 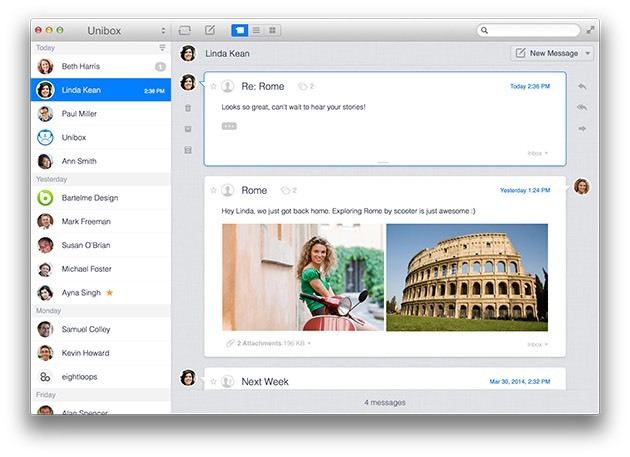 Unibox threads messages by sender and groups them in your inbox, so it almost becomes an instant messaging client, but with all the features you expect from email. Need a colleague’s opinion on one of your works? Or a secure way to share a folder with your remote team? 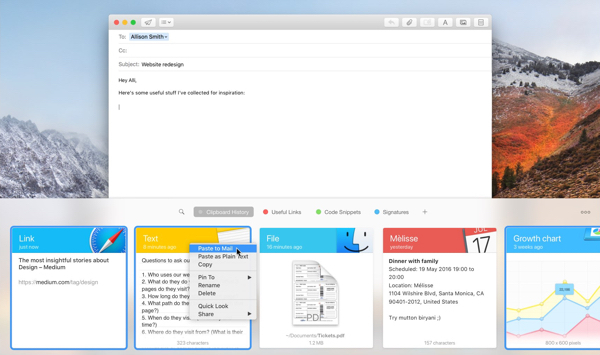 Dropshare is a superb tool that solves any file-sharing task in seconds. Use drag and drop functionality, batch upload files, and set a password to shared links – your colleagues will gain a quick and secure access to files from anywhere, beach and mountains included. Working remotely often means sending and receiving large files or folders to and from colleagues. And while the Mac’s built-in archiving tool is fine, it lacks lots of useful features, such as the ability to preview the contents of an archive before you unzip it. It also doesn’t support all archive formats and doesn’t allow you to split large files into multiple sections. 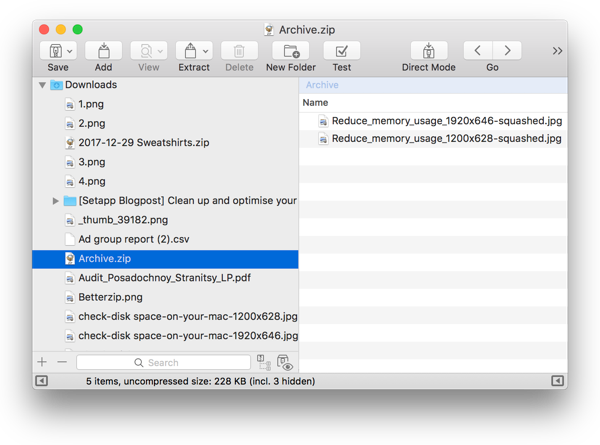 For those features, you’ll need a third-party archiving application like Archiver or BetterZip. Both tools give you control over the level of compression and allow you to password-protect archives. And if you know your AppleScript, BetterZip allows you to incorporate its features into your scripts as well. But it’s not all about archivers, sometimes you just need to reduce the size of a PDF to fit some form’s requirements, in which case PDF Squeezer is indispensable, being able to process PDFs in batches while preserving the original quality. For shrinking the image size, Squash is your ideal choice, with its drag-and-drop interface and the ability to rename and convert images to other formats. For pro-level media conversion, however, use Permute, which specifically focuses on accurately converting all possible formats. Contrary to the commonly held opinion, remote work actually tends to increase productivity. As the remote working trend is rising, it seems like every day new articles are written about the benefits of remote work. To distill them all, it mostly comes down to the absence of distractions, fewer meetings, and more focus on the important work rather than on whatever seemingly urgent tasks that tend to fill up our days. But it’s not all just about theory. Test your remote productivity and see for yourself. How do you do that? You just need an intelligent time and productivity tracker, such as Timing, which automatically tracks the tasks you spend your time on and assigns them into appropriate categories. Being organized is also an essential part of having a productive day outside of your office space. 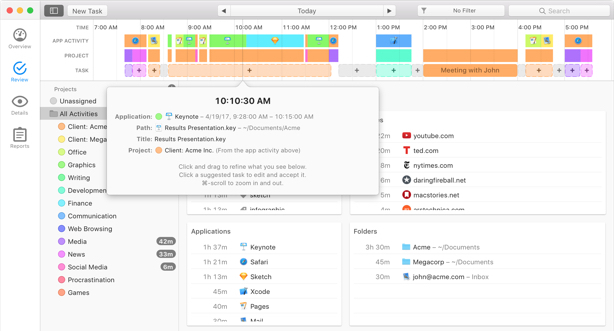 Make sure you plan your days in advance using a powerful to-do app, such as 2Do, which supports lists, locations, tags, and everything else you could possibly add to your tasks. And finally, a few tools that will just greatly accelerate your workflow overall: Paste and Dropshare. 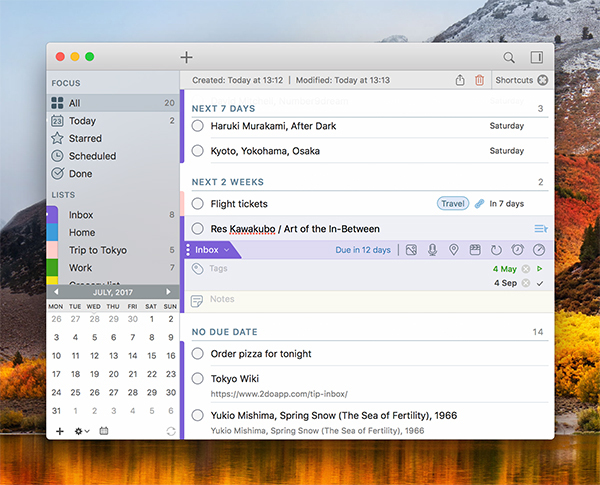 Paste is the infinite clipboard you’ve been waiting for all your life. Now, you won’t override any copy-paste ever again. Simple as that. While Dropshare is a lightning-fast app to share any file or screenshot with your colleagues, by instantly uploading it to the server and providing you with a link. As you can see, there are lots of tools that you need to think about if your a remote worker. However, they’re all readily available and there’s lots of choice in each category. Best of all, most, like those described here, have a free trial through Setapp, are easy to configure and very easy to use.